Olivia Pope wears a lot of white. She wears white dresses to inauguration ceremonies or lush white coats while running to and from one fire to the next. She even wears long white gloves that she plucks from her body, finger by finger, to touch her great and complicated love, President Fitzgerald Grant, as he recovers from a gunshot wound in the hospital. If white is a symbol of purity, from merely a quick glance, Olivia&apos;s aesthetics tell a story of a perfect, pristine woman. Her clothes should be the reflection of who she is, or who she projects to the world. But any fan of Scandal can attest to the simplicity of this image. Audiences this season have witnessed the crumbling of this facade of perfection. This is not just the result of her affair. It is the result of her choices, the difficult decisions she must make in her personal life and the livelihood of those around her. Does she continue her affair with the President? Do we support her decision to break up a budding relationship for one of her staffers? Is it fair for her to keep secrets about the lives of her employees? Can helping facilitate an illegitimate presidency ever be okay? As in real life, Olivia (Kerry Washington) has had and will continue to face situations that test her morals and ideals. And it is the pressure of these decisions that continues to make Scandal one of the most surprising and compelling shows on television. This gradual turn in character continues to breathe life into the show, making it television to unpack slowly the next day. However, what is important in this slow unravelling is not just that the character of Olivia is more complicated and nuanced than we imagined. It&apos;s that she is those things at all. [T]he Black Boss Lady is good, or she wouldn&apos;t be where she is today. She&apos;s not afraid to take some risk if there is a decent chance of a worthwhile pay off … When it comes to drama, her blackness is hardly ever mentioned, her femaleness being the main source of plot. This being so she won&apos;t have much of an Urban Accent or have many tropes stereotypically associated with blackness. But as season two has progressed, Olivia has proven to be flawed in a truly human and relatable way. And it is these flaws that make her so important for both female and (especially) black characters on television. Her decisions are not always right. Her gut check (which she heavily relied on as a source of knowledge in the former half of the first season) proved to be less of a guarantee as her actions began to be governed by problems that in many instances seemed larger than she could handle. Although she at times slips back into her identity as the unquestionable Black Boss Lady, her messiness, like the messiness of the politicians, leaders, business tycoons, and other assorted characters her team at Olivia Pope & Associates (OPA) fixes, is real. Her messiness is integral to the success of the show. For Scandal to truly succeed, the writers of the show had to let go in some of the structure of their characters, allowing audiences to see that no one is truly immune from the way problems affect our personal lives and decisions. Every character has a "scandal" and it is because of this that we root for them, flaws and all. But more importantly, her messiness is integral to her well-roundedness as a character. Olivia Pope is a rare character for blacks in general and black women in particular. Depictions of black characters in film and television especially usually fall into one of a limited number of tropes: the tragic, the sassy, the perfect. Olivia does not fit neatly into any one category. She is a woman in the wrong kind of relationship, one that is forbidden and heartbreaking. She is smart and authoritative and strong in self-assuredness. When she is right, she is very right and she will let you know it. She is these things and many more. Each week gives viewers another glimpse into why she is the way she is. There is a reason why Olivia is the lead and not President Grant or new OPA hire Quinn Perkins or any of the other strong supporting cast. The writers and creator (Shonda Rhimes) made a smart choice that gives viewers the chance to witness perhaps one of the most richly nuanced depictions of black womanhood to ever be broadcast. I relate to Olivia on a fundamental level. I see her blackness, her femininity, and I see myself. But also, I see her sadness, her confusion, her anger, her exasperation, her tears, her joy and I see myself as well. 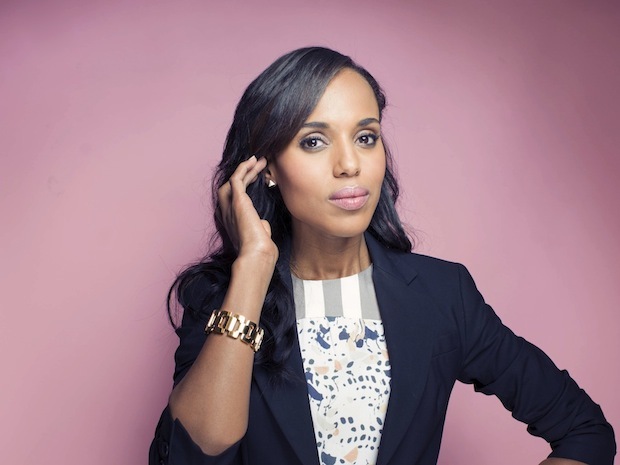 Before Scandal began, much of the publicity cited the fact that the show was the first prime time drama in decades to have a black female lead. Although this still stands as an important milestone for television, Scandal&apos;s role as a vehicle for more complete representations of black womanhood should not be ignored either. What we are witnessing is a slow-building completeness and that is change to love.